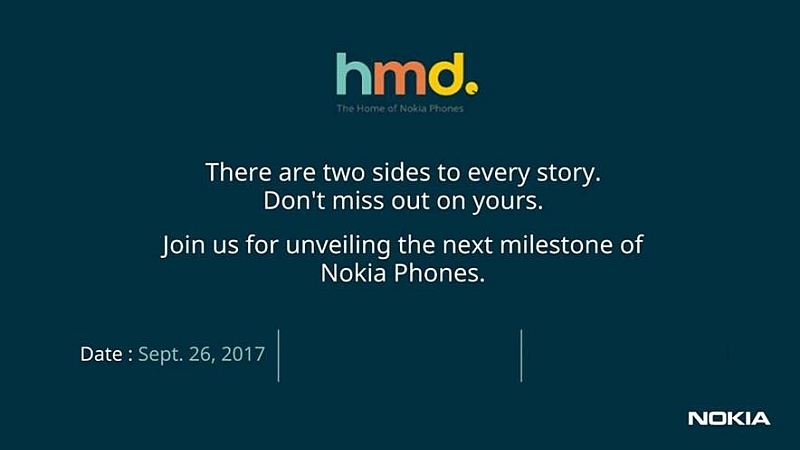 HMD Global has sent out press invites for an event on 26th September, stating “there are two sides to every story” in the invite. This might be a reference to the ‘Bothie’ feature on the Nokia 8 and after reports of the flagship launching in India soon, this invite makes it official. The Nokia 8 is the first ever Android OS running flagship smartphone with Nokia’s brand and has a lot of top of the line features to compete with 2017’s other flagship devices. As far as the specifications are concerned, the Nokia 8 has a 5.3 inch 2560 x 1440 px display and 2.5D Corning Gorilla Glass 5 for protection. A flagship device of 2017, the Nokia 8 does have a very unlike 2017 design with thick bezels around the display. The smartphone has an aluminum unibody design. The Nokia 8, however, has an IP54 rating for splash resistance. The fingerprint sensor is housed inside a physical home button which sits between two navigation touch capacitive buttons below the screen. Powering the device is a 3,090mAh battery with QuickCharge 3.0 support via USB Type-C port. The Nokia 8 runs stock Android 7.1.1 OS and the company has promised monthly security updates and yearly Android updates. Under the hood is the Qualcomm Snapdragon 835 chipset and a 2.45GHz octa-core processor, the Adreno 540 GPU, 4GB of RAM and 64GB of onboard storage which is expandable via microSD card. In terms of optics, the Nokia 8 is the first Nokia Android device to feature Carl Zeiss optics. In a very 2017 move, the Nokia 8 boasts a Zeiss powered dual camera setup at the rear – a primary 13MP RGB (colour) sensor with optical image stabilisation paired with a 13MP secondary monochrome (black and white) sensor and an f/2.0 aperture. The dual-camera setup is capable of recording videos in 4K at 30 FPS and has a portrait mode for bokeh effect. On the front is a 13MP camera with an f/2.0 aperture which can also record 4K videos at 30FPS. 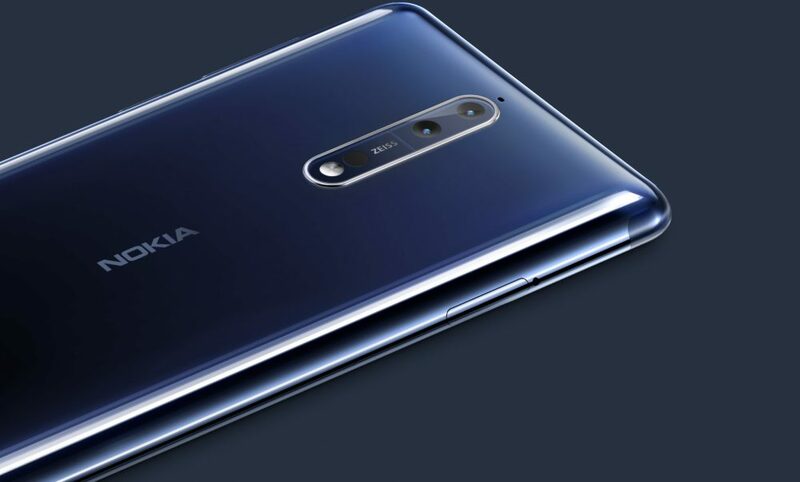 In order to be different from all the premium smartphones in the market, Nokia has introduced a few new features in the Nokia 8 that the company thinks will be enough to persuade potential buyers. The device has a feature called Bothie. It is the first smartphone in the world which allows ‘Dual-Sight’ video to be live streamed natively and in real-time to social feeds such as YouTube and Facebook. Dual-Sight allows you to use the front and rear camera at the same time in a split screen view. Another feature that the smartphone boasts is called OZO Audio in which the smartphone’s three microphones and Nokia’s acoustic algorithms allow you to capture 360-degree spatial surround sound. You can also share 4K videos with OZO audio with anyone – binaural codecs ensure high fidelity playback even on devices without OZO Audio. 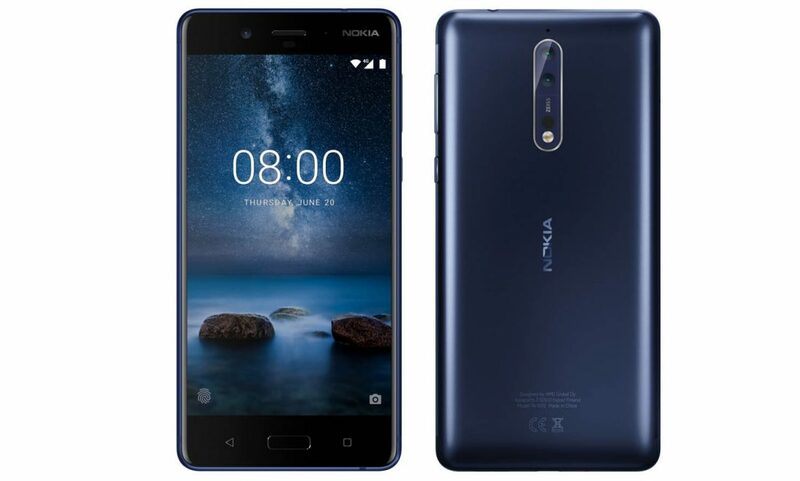 The Nokia 8 is expected to be priced at around Rs 45000, considering the fact that it was launched in Malaysia for a price of RM 2,299 (Rs. 35,000 approx.). At this price, it will compete with the likes of LG G6 and the OnePlus5, although the 45K price tag will be much higher than the price of the LG and OnePlus devices. The price will be revealed come September 26th and iGyaan will bring you all the latest information from the launch event.